As an HR practitioner, I am sure you have to make several critical decisions every single day. One such key decision you may have to take is related to identifying your talent and capability gaps. With a focused approach to talent selection & development, you can significantly improve your execution capacity with optimum use of the resources available for you. A Virtual Assessment Centre can be your trusted aide to deliver just this. It simulates an online desktop environment that enables you to deliver highly action oriented & interactive simulated exercises to select and develop your staff. Your candidates will be asked to respond to different types of information as well as issues presented in various formats, such as documents, graphs, emails, charts & voicemails. The way these candidates respond to these tasks & exercises is assessed thereby enabling you to make quality decisions about their success on the job. With an assessment centre, what you have is an alternative to the traditional style of recruitment. According to a recent study, one third of multinational companies are already using assessment centres as a methodology for hiring the most suitable employee, from their ever-increasing candidate pool. An Assessment Centre typically includes a series of activities and tasks, carefully designed to assess the full range of knowledge, skills and competencies that are required for the job, under standardized conditions. It acts like a Personality test for the candidates being considered for a specific role. The group of pre-selected assessors are chosen who see all the candidates from a common frame of reference across various activities. While reliability of interviews alone as a step for hiring can be as low as 15%, the accuracy of assessment centres can be as high as 60%. When professionally conducted, most assessment centres act as a fair process of selection, whereby equal opportunity is given to all the candidates. An Assessment Centre also provides deeper insights about how a candidate may react to different scenarios, which may be crucial for the job. Why should you consider using an Assessment Centre? Amongst other reasons, here is why you may contemplate using Assessment Centres for your hiring & development. Huge savings in costs, time and effort – Most exercises can be administered as well as the results can be captured online, which can cut the time taken for any manual interventions for assessments. Assessment Centres are fair, irrespective of candidate’s age, race, religion and gender. Unlike some other selection mechanisms, age, race, religion and gender have no impact on assessment centre’s process. Assessment Centres serve as a great learning experience and platform for employee development. It serves as a Management Training tool for employees who act as assessors. It helps them improve their observational skills and their ability to evaluate performance. Promoting fair opportunity – Research has found that applicants believe that they have been given a fair opportunity to display their skills and find that the exercises in an Assessment center are more representative of the target job than a pencil and paper test or assessment. They measure job related behaviours, rather than other generic characteristics, that may not be relevant for the job. Using data to improve performance – With the help of Assessment center an organization can use the data to scrutinize expected patterns and areas of deficiencies of the existing employees. Thus, the top management can conduct and arrange more useful and appropriate training programs to overcome the weak areas. This will enhance the performance of different departments in the organization and subsequently, the overall performance of the firm goes up. Taking high quality HR decisions – Feedback consists of a verbal review of the findings and the recommendation regarding appraisal. Soon thereafter the participants receive a brief written report of the assessment results. The feedback given is not detailed. It simply lays down the decision making process, the decision criteria, and how the candidates scored on relevant criteria. This is referred to as Decision Feedback. 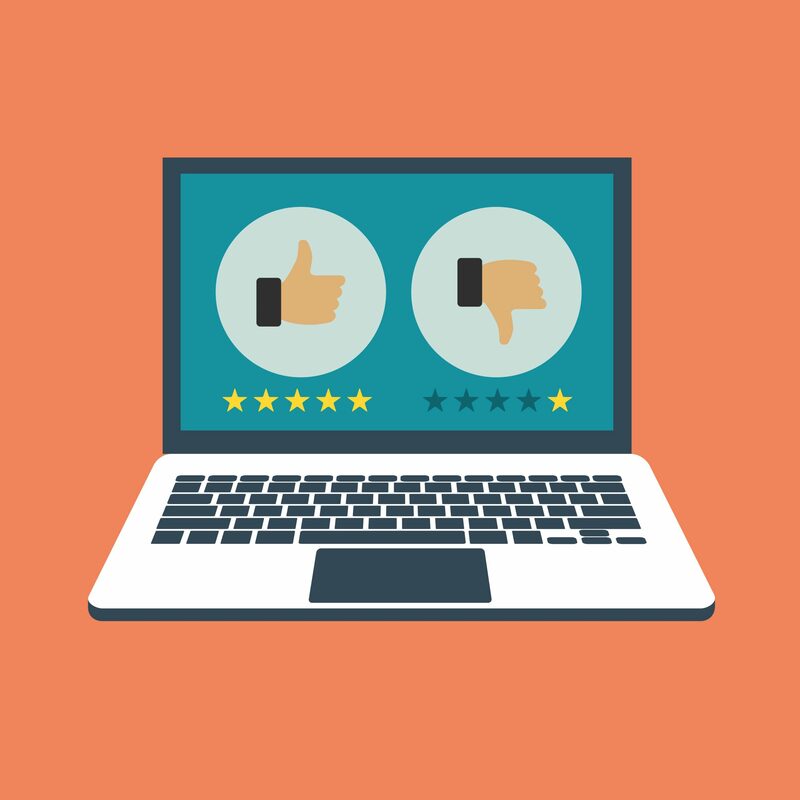 Candidates not only want feedback on their performance, but they are also desirous to know how they could have performed better. Effective Employer Branding – In most cases, a day in life exercise in an assessment centre provides a highly engaging and immersive experience to the participants which in all likelihood will enhance your employer brand. You will agree that it is indeed difficult to overlook all these benefits of running an assessment centre. Here is a quick description of the activities and tasks that generally take place. Role Play Introduction and Presentation is where the employer take all the candidates through what the selection process is scheduled to look like. Candidates are briefed about the Organization, Job and what is the general expectation out of them in the said role. Group Activities may include case study solving, group discussions and giving presentations. Personality tests and aptitude tests form part of the individual activities that are conducted in Assessment Centres. Conducting interviews is the age old style of getting to know a candidate. The Job Description of the said role helps in identifying the skills and competencies that the assessors will be scoring the candidates on. Candidates are largely assessed on competencies such as Communication, Team work, Leadership, Problem Solving and Negotiation Skills. A candidate’s culture fitment is also scrutinized. Competency based interviews are conducted based on the premise that past behaviour is the best predictor of future behaviour. Such interviews allow the candidate to “show” how they can do a certain task/ job and demonstrate better. Fresh graduates usually cite examples from their internships and voluntary work experiences to substantiate the “skills” they claim to have. Some Assessment Centres ask candidates to play a part of the job they have applied for, to artificially generate the behaviour that is expected from someone in that role. Scenarios may vary from candidate to candidate. Thus role play helps assessors rank participants based on their communication skills, planning and organizing skills. Some assessment centres usually include a role-play exercise where candidates need to play the part outlined in their candidate briefing. This part is mostly related to any aspect of the position for which they have applied. Typically, the candidate will interact with a role-player, who is an assessor and candidates will have the opportunity to generate behaviour that demonstrates the required competencies. Scenarios vary from something that is very typical of the role, for example a customer related scenario for the role of customer care assistant, to a more general role-play that involves a problem that the candidate needs to deal. For managerial positions, the candidates are required to conduct one-to-one meetings which could even be an individual development meeting. Some competencies that role-plays typically assess include planning, ability to organise, communication and negotiation as well as customer orientation. Role-play exercises are mostly very relevant to the role and hence, readily acceptable to candidates. There are a range of personality tests that organisations may typically use in assessment centres which could be often based on different personality theories. These tests measure personality traits which are useful in a workplace or could even be role specific such as persuasiveness and self-confidence. The exercises usually ask candidates questions about their individual preferences, or typical ways of behaving thus revealing their preferred working style. While these tests are undertaken in a formal environment, the exercises are normally not rigidly timed, which means the candidates can work through the questions without any time pressures, although they are asked to provide answers spontaneously by giving their first response. However, the test provider often gives candidates an average expected completion time for the exercise. To ensure that the scores are meaningful, the organisation should compare their results against the performance of a chosen reference group. This group then shares more information on how others in the population performed in the exercises. Personality assessments are expensive and hence mostly used for assessing leadership or senior roles. Organisations also use personality assessments in combination with other selection tools to add value to a selection decision. Online psychometric tests are also typically used to get an indepth understanding of the overall personality traits of the assessed candidates. These tests measure the ability & potential of candidates with respect to either reasoning skills, numerical ability and critical thinking. The main advantage is, they are standardised and allow employers to compare candidates. Employers can compare them with the scores from general reference groups. Employers often use these tests to select candidates usually as part of a shortlisting process, which is particularly useful when there are many suitable applicants. An ability test is a good assessment of “maximum” performance which is a candidate’s capacity to perform under pressure. Typical performance is dependent on temperament, which can be determined through personality assessments as well as structured interviews. However, to predict performance on the job, personality tests should be used in conjunction with other tests. Now let us have a look at what a “One-Day Assessment Centre Schedule” typically looks like. As you can see, the day is usually jam- packed. Employers stimulate a bust day at work, to assess how prospective employees are behaving under heavy work load, along with the other activities that candidates are engaged in. It is important to note, that informal activities such as break for lunch/ refreshments may not be directly scored, but serve as a good opportunity to socialize among the group and at time, meet the current employees. Assessment centres utilise a range of selection exercises so enable the employer to make an evidencebased choice when selecting candidates. However, organisations should use them only where it is appropriate to do so, taking into account factors such as the availability of resources and criticality of the role. Because of the time and money investment involved, organizations usually prefer to use assessment centre as a methodology, to select candidates for key roles only. Senior Management Roles As emphasised earlier, assessment centres give assessors a good opportunity to determine whether a candidate is fit for the said job or not. Especially while recruiting for senior management roles, it is important that the right candidate displays qualities of a leader, such as decision making, taking initiative and good judgement among others. Speciality Staff and/or Niche Skills Companies must be capable of identifying the niche skills and expertise required, through the use different combinations of selection processes. The speciality staff may not be senior, but their role and delivery have a direct impact on the business. For Example, the customer service team or business development managers may not necessarily be placed high up on the ranking scale, but they have direct interaction with the customers, and that in turns has a direct impact on the Business. So the company might want people with only a very specific skill set to be interacting with their customers. Thereby, leaving a positive impact and stronger relationships. Accelerated Leadership Program Usually, companies choose fresh graduates or post graduates, for their “Accelerated Leadership Program”. Such programs lay the foundation of succession planning which can be critical to its success. They attract many talented, eligible and willing candidates, and it is in times like these, that organizations fall back on “Assessment Centre” as a selection methodology, in order to make a calculated decision. Roles wherein employees are hired on Fixed Term Contract or for a very short duration of time, opting for assessment centres can be avoided, as it may not give the return on investments made. The high rate of accuracy and reliability has led to “Assessment Centres” being used as a modern method of Performance Appraisal. This dates back to 1930, when it was used by the German Army, and then in 1960 by the British army to evaluate candidates who wanted to be a part of their troop. Today, in collaboration with the existing performance appraisal techniques, employees are assessed on their performance and ability to take the up more responsibilities. Behaviourally Anchored Rating scale, Management by Objective and 360 Degree Appraisal are some more coming of age performance appraisal techniques. Even though this method is slightly on the higher side in terms of cost, A well conducted Assessment centre helps in better forecast of the future performance, improves the recruitment funnel and evaluate employees’ performance in the recent times.